Product #60498 | SKU 695SC2 | 0.0 (no ratings yet) Thanks for your rating! The Manfrotto 695SC2 Suction Cup is a rubber suction cup foot that also feature a retractable stainless steel spike. 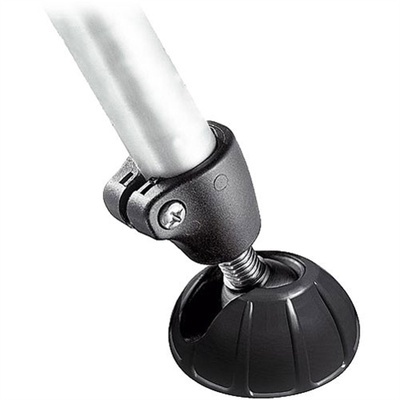 This Manfrotto 695SC2 Suction Cup with Retractable Spike Foot - for 695 Monopod is a rubber suction cup foot that also feature a retractable stainless steel spike. The suction cup increases the footprint of the monopod leg by almost 20 times, giving much greater stability when needed. The steel tip provides a firmer footing on soft ground. The foot can be removed and replaced at will.